for $365,000 with 5 bedrooms and 3 full baths. This 3,480 square foot home was built in 2005 on a lot size of 10200.00 Sqft. 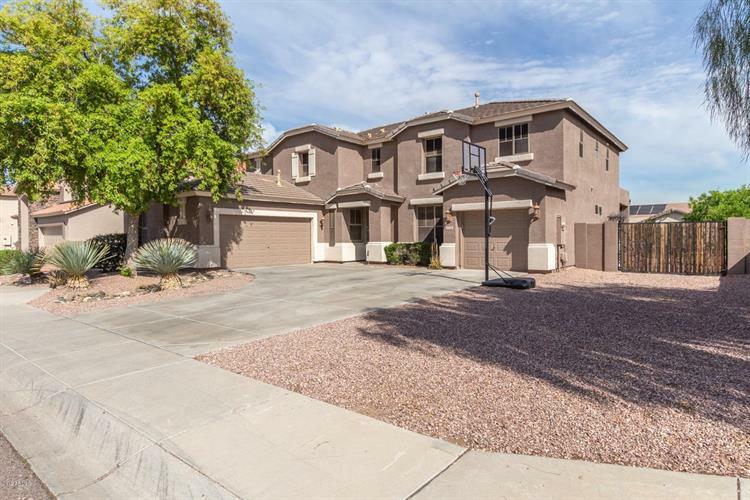 Nestled in the Lantana Estates is a gorgeous 5 bedroom, 3 bathrooms, + a bonus room home with impeccable mountain views! 3 car garage, RV gate, and charming curb appeal. Formal dining/living room, and a family room off the kitchen creating the perfect entertaining space. Crisp white cabinetry, granite countertops, ample counter space, island/breakfast bar and an eat-in kitchen complete the kitchen you have longed to have. Upstairs are spacious bedrooms! The master ensuite is complete with his and hers vanities, private toilet room, walk in shower, with separate garden tub, and large walk in closet. Enjoy your outdoor space soaking up the Arizona sun. Don't delay, schedule your showing today!